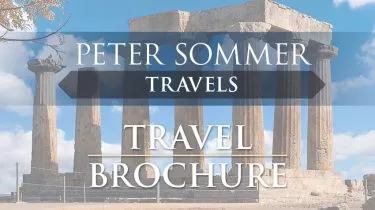 As well as travel writing Peter also personally leads a number of our tours in Turkey each year. Often described as the eighth wonder of the world, the churches of Lalibela are perched high in the mountains of Ethiopia. Hewn from the living rock, they nestle beside a traditional village crowded with bee hive huts. The location is remote and isolated, but these rocky slopes gazing out over huge horizons of green and brown foothills, are brimming with humanity. Generations of priests, resplendent in their robes and with ornamental crosses in hand, tend the churches, while crowds of pilgrims come to worship. Follow in their footsteps and you’ll pass along deep corridors, carved into the cliffs, leading to these medieval monuments. Legend has it that they were built 800 years ago by a pious king, Lalibela, who sought to create a ‘New Jerusalem’, a place of pilgrimage here in the highlands. Recent research suggests they have a much older history, stretching back to the seventh century. The most imposing of the eleven main churches is shaped like a giant monolithic cross, rising from a pit 11m deep, with its roof at ground level. Walk into the candle-lit interior, and you’ll find columns and grottoes richly decorated with Christian images alongside the church’s patron, St. George, slaying the dragon. Attend a festival. Christmas, Timkat, and Easter are incredibly colourful and exuberant times to visit. Pilgrims arrive at Lalibela from all points on the horizon. St George’s Day is a real highlight. Crowds of the faithful, in bright white or multi-coloured gowns, stand on the edge of the precipice above the church, chanting and swaying in time to traditional music. Go for a trek. Put on your walking boots or hire a mule and head off into the surrounding mountains. See some local villages, discover remote historical wonders, like the Church of Ashetun Mariam, and sate yourself with vast panoramas. Go to church. Attend a service and marvel at the architecture while priests read from ancient tomes and censers sweep incense into the air. When to go: Just after the rains in October is an especially good time to visit, when the country is vividly verdant and carpeted with wildflowers. Try to coincide your trip with one of the key festivals like Timkat in late January, but be aware that you’ll need to book early to secure accommodation and flights at these busy times. How long: At least two or three days to see the main highlights, or longer if you wish to explore further, revel in the dramatic landscapes, and really soak up the atmosphere. Most of the churches are unlit, so remember to take a good torch with batteries. Visiting all the churches entails a significant amount of walking, often with quite steep gradients, so make sure you wear comfortable shoes with good grip. The Captain, crew, chef, Turkish guide and Heinrich, the tour guide were among the best I have ever seen! They also worked together in complete harmony. The food was incredible.